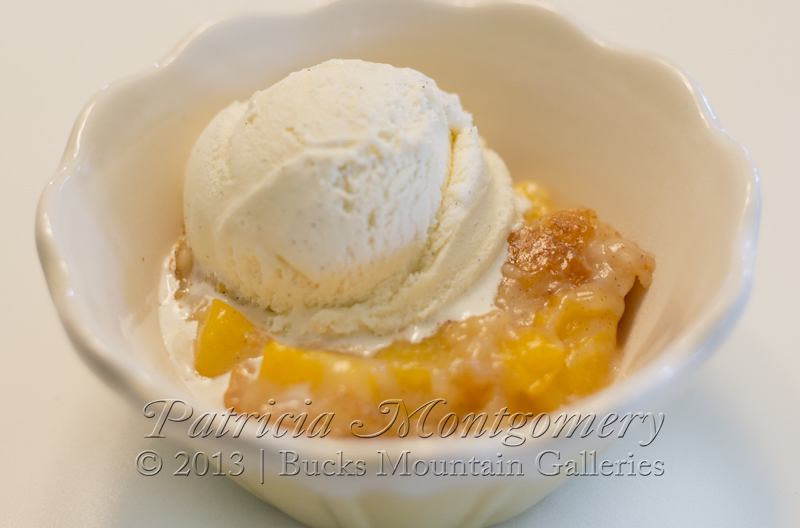 Musings from Bucks Mountain: Peach Cobbler: Easy and Delicious! The hubby was taking his Sunday afternoon nap in the recliner so it was the perfect opportunity to surprise him with one of his favorites, Peach Cobbler. of Vanilla Bean ice cream! This made the the best cobbler I have ever made. Ever! 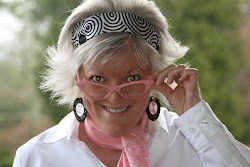 Note: Some recipes called for a big can of sliced peaches, drained; but I had fresh peaches on the counter. Note: They all called for 1 cup of all-purpose flour, but I had Bisquick in the pantry. I peeled and cubed my 4 peaches first, stirred in 3/4 cup sugar and let them sit. I lined an 8 x 8 square baking pan with parchment paper simply because I don't want to scratch my favorite pan AND it makes for easy clean-up but you could skip this step. In a medium bowl, I mixed together the Bisquick mix, milk, nutmeg and cinnamon. Then added 1/4 cup of the sugar and stirred in the melted butter. Last step: I spooned the peaches over the crust mixture. When it cooks, the crust rises above the peaches. Note: Almost all the recipes said to bake for one hour, but I checked mine in 30 minutes and then again at 45 minutes and by then the crust was browned and bubbly. So check your cobbler before the hour is up as ovens can bake differently. The aroma of baking woke the hubby up and we had an afternoon snack of hot cobbler with a scoop of vanilla ice cream on top. Royal1688 It is a site to participate in gambling online gambling. The most popular fashion is currently. Because playing the Internet game in modern times. It is a way to generate revenue again. It is also fun to have fun and stress to the player is excellent. The game of luck, the computer network today. It is very popular. Because they are happy to join the fun. Do not travel to a gambling casino. Wasting time And travel expenses as well. In the present day, people are interested in playing casino games, computer networks as well.